Haste! ENWorld Hacked, N.R.G Kickstarter, Salvaging A Campaign & D&D Character Nightmares! A cool little app that was brough to our attention RPG Ambience is definitely worth checking out, so be sure to do that! Also, don’t forget that there’s a new Caption Contest with lots of prizes this time just for the holidays, don’t miss out on your chance to win them! It appears that recently one of the biggest RPG websites out there has been hacked. ENWorld has stated so on their front page and are looking to rebuild things piece by piece but it seems like it’s going to be quite a task. Apparently code was lost, and lots of data as well. Micah and I give our condolences and talk about silver linings here. Here’s to a brighter, more secure future for ENWorld! The Gamesmith LLC guys have a kickstarter up for their N.R.G. Core rules along with a Fantasy Western setting entitled “Saga of Dragon Star” up as a double-whammy kickstarter. The project looks really great and has a focus on tactical and strategic combat, if you are into that we suggest you go check it out as they don’t have much time left! The guys over at Gnome Stew have a great little article up about salvaging a campaign, retcon’ing and a lot more matters dealing with the demise of an epic story. How do you avoid or revive games when these things happen? We discuss! Have an in-game forum, and a meta-game forum to keep those two worlds separated. It helps! @KiloGex (Jesse) asks: What D&D race/class combination would you NEVER want to play, even under torture? That site is bloated and filled with trigger happy moderators. I got banned for like, without a warning mind you, for linking to a legal community use Paizo PDF. I don’t know that the dwarves in the old west is necessarily the game I want to play, but I’m pleased to see someone addressing more complex/tactical games. 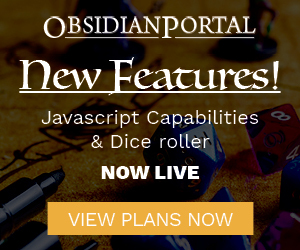 The OSR and Storygames movements have definitely had people pushing for the rules lite model and it is nice to see some alternatives coming out. Similar thing happened to me. Admin and owner admitted their knee jerk error but only in email then kept me banned to protect their egos. Yet they still send me email asking for Kickstarter money. Ego-driven demagogues. For a site that would thrive on member energy, they care little for members.